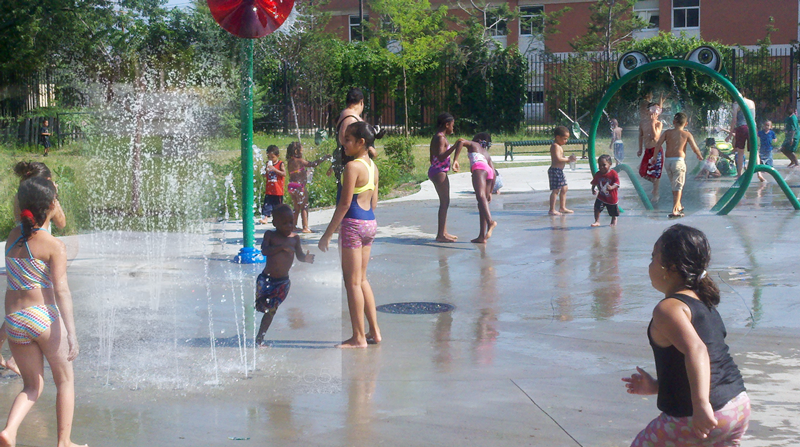 Today there is a new addition to Luis Marin Park in Bridgeport to help people cool down on hot summer days. 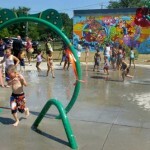 A new splash pad was unveiled at the park, courtesy of The Terrapin Foundation and Gathering of the Vibes. 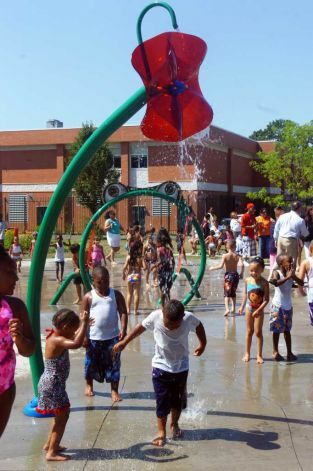 The children running around and dodging sprays of water with smiles on their faces on the east side of Bridgeport prove the splash pad is creating a fun vibe in the park. Thanks to the founder of the Gathering of the Vibes concert weekend and city leaders, the new addition to the park was made possible. “It’s great to be back home. This is just one of the ways the Gathering of the Vibes community and the Terrapin Foundation can come together and give back to those that are not as fortunate to be on the beautiful shorelines of Long Island Sound,” says Ken Hays of Gathering of the Vibes. 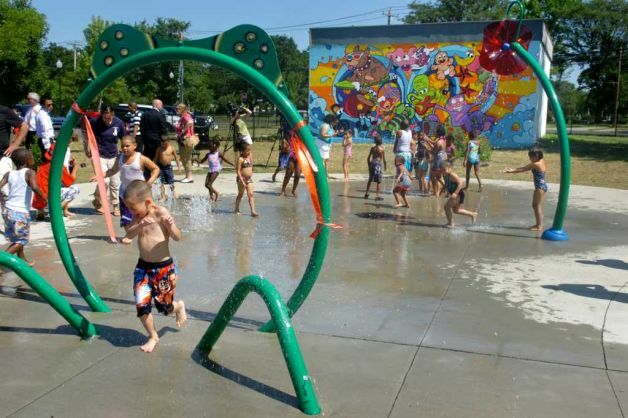 The promise to create the water wonderland came about when Hays began bringing concerts to Seaside Park several years ago, this year’s series is scheduled to begin next week. 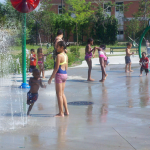 The splash pad is free for kids who want to cool off. 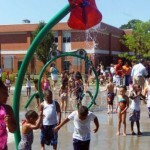 A high tech system shuts off the flow of water if no one is around.